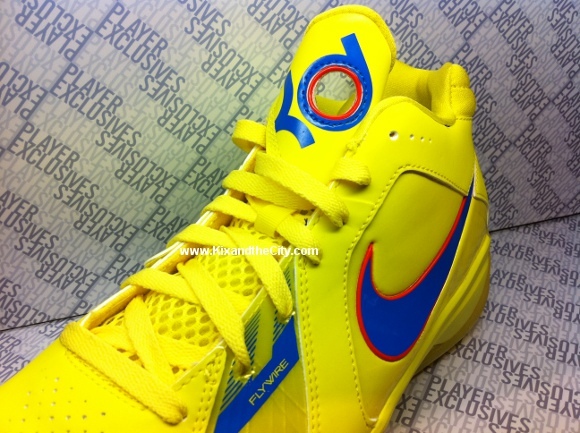 Another look at Kevin Durant's special Christmas Day colorway. This week of Christmas may be the biggest in sneaker history. In addition to the return of the "Cool Grey" Air Jordan Retro 11 on Thursday, Nike is set to launch special Christmas Day colorways of their "Big Three's" signature shoes. Seen here is a pair that Oklahoma City forward Kevin Durant will wear when the Thunder host Carmelo Anthony and the Denver Nuggets. 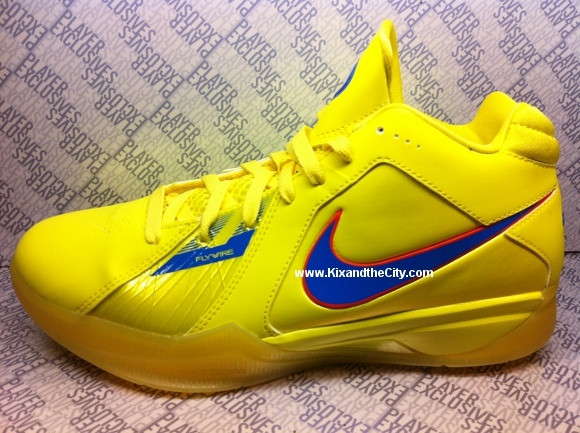 The shoe sports a tonal yellow upper, accented by blue with orange trim. 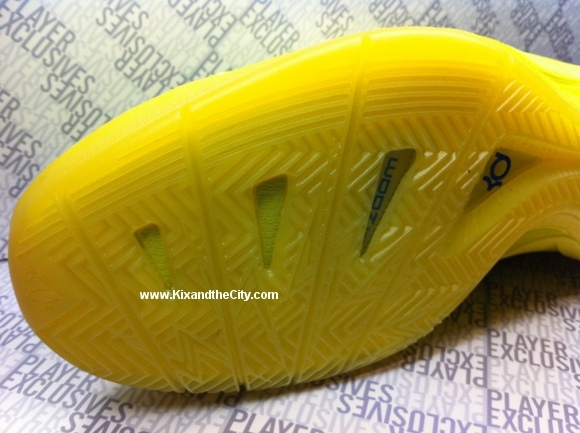 Sitting below is a semi-translucent outsole that has also been done in yellow. These will officially drop on December 26th.